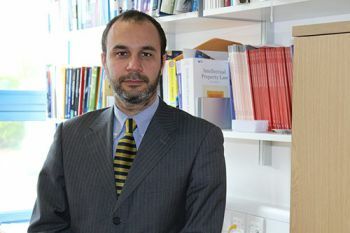 The City Law School’s Senior Lecturer in Intellectual Property Law, Dr Enrico Bonadio, has co-authored a new book with Professor Alberto Alemanno, Jean Monnet Professor of EU Law and Risk Regulation. 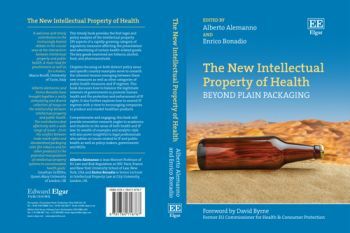 Dr Enrico Bonadio, a Senior Lecturer in Intellectual Property Law, has co-authored The New Intellectual Property of Health: Beyond Plain Packaging, with Professor Alberto Alemanno, Jean Monnet Professor of EU Law and Risk Regulation. “We thought it was important to unearth and analyse the inherent tension emerging between these new measures as well as other categories of public health measures and IP regimes; and to provide a platform where both experienced and young scholars and lawyers could debate on how to balance the legitimate interests of governments to promote human health and the protection and enforcement of IP rights. There are chapters focussing on country-specific examples (in Australia and Uruguay in terms of tobacco packaging) of the inherent tension between IP regimes and measures and public health measures. The book discusses how to balance the legitimate interests of governments to promote human health and the protection of and enforcement of IP rights and looks at amending IP regimes with a view to encouraging companies to produce and market healthier products. Regulatory risk is the risk that a change in laws and regulations will materially impact a security, business, sector or market. A change in laws or regulations made by the government or a regulatory body can increase the costs of operating a business, reduce the attractiveness of investment and/or change the competitive landscape.